Professor Dermot Brabazon (BEng, CEng) graduated from the Department of Mechanical Engineering at University College Dublin in 1995 and continued on at UCD to complete his doctorate in the area of semi-solid metal processing. From 1995 to 2000 he worked with Materials Ireland, a state funded research centre at UCD. Professor Brabazon is a full time lecturer in the School of Mechanical and Manufacturing Engineering at Dublin City University since February 2000. He was appointed Senior Lecturer in 2007 and Associate Dean for Research in 2009. Prof. Brabazon was also conferred with the President’s Award for Research in January 2009. Dermot’s research interests and expertise include laser material processing, novel material development, and material property characterization. Professor Brabazon is currently Director for the Advanced Processing Technology Research Centre at Dublin City University and a PI within the Irish Separation Science Cluster at DCU, as well as the Water Institute. 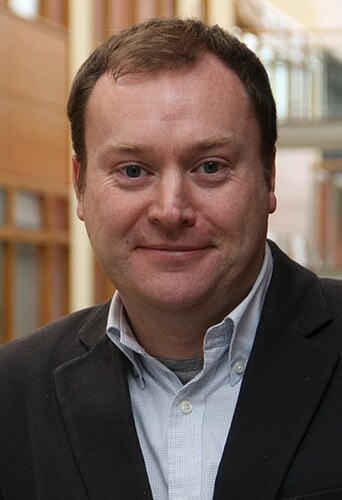 Professor Brabazon has supervised 22 postgraduates to completion and since 2008 supervised six PhD students to completion in the areas of preparation of novel separation technologies and microfluidic systems, novel carbon monolith materials, and evaluation for separation and regeneration capabilities. Professor Brabazon’s research group currently includes 8 PhD students and 3 postdoctoral researchers working on development of novel processing, separation and analytical technologies.